Take a walk through a typical Nigerian street and you are greeted by overflowing gutters, rubbish heaps, and smog. Market women, drivers, accountants; many Nigerians don’t pay attention to their immediate environment. In fact, I was surprised to find that we rank as high as 100th of 180 countries on the Environmental Performance Index. The Niger Delta is the most infamous case study of Nigeria’s propensity to pollute. With about 13 million barrels of oil spill cases through illegal diversion and burning of crude in the past 50 years, the region has been described as an ecological disaster. 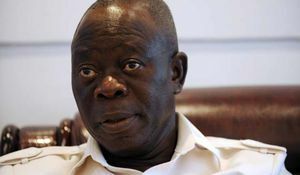 Yet, even Lagos, the famed metropolis of Africa, has struggled with waste management, so much so that Governor Ambode’s botched reforms ultimately contributed to his ignoble downfall. As with all things in Nigeria, where the government has failed, enterprising individuals have stepped in. And although there are a host of organisations working on building a culture of sustainability in Nigeria, one stands out from the rest: SustyVibes. 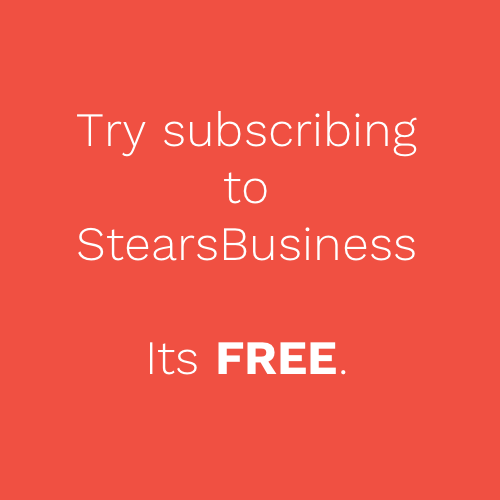 How do you get everyone interested in sustainability? Make it relatable. That’s the philosophy of SustyVibes, a social enterprise that is striving for a greener Nigeria and wants everyone to have fun on the way. “We are youth who are aggressive about the environment,” explains Jennifer Uchendu, the 26-year-old founder. Started in 2016, the unconventional group has already spread to nine states in Nigeria. In June 2018, the group hosted a Susty Party in Abuja, an evening of spoken word and music. 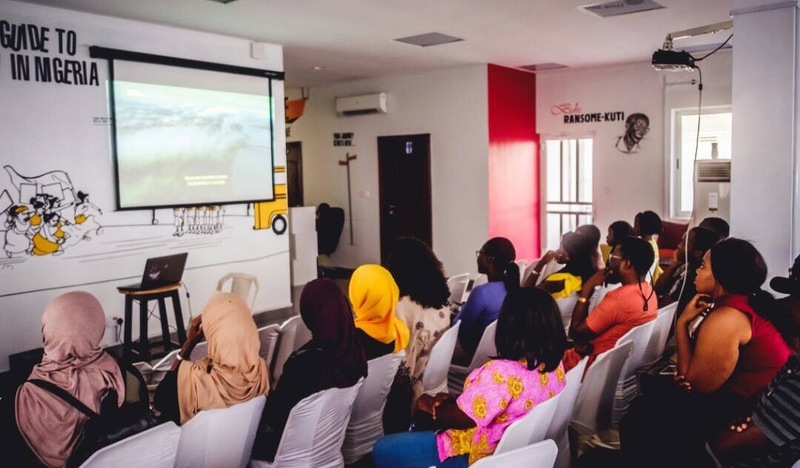 True to the focus on sustainability advocacy, there was a screening of Swallow, a documentary produced by the Shehu Musa Yar'adua Foundation, that explores Nigeria’s struggle with food security as a result of climate change. “I thought it was important to use pop culture to reach the youth so that everyone can be carried along. I don’t want just environmentalists and researchers to pay attention to sustainability, I want everyone from writers to designers to talk about it,” Jennifer says. Not all their events are as exciting, but all are impactful. In May, SustyVibers—as volunteers are called—took part in a walk against Climate Change in Lagos. 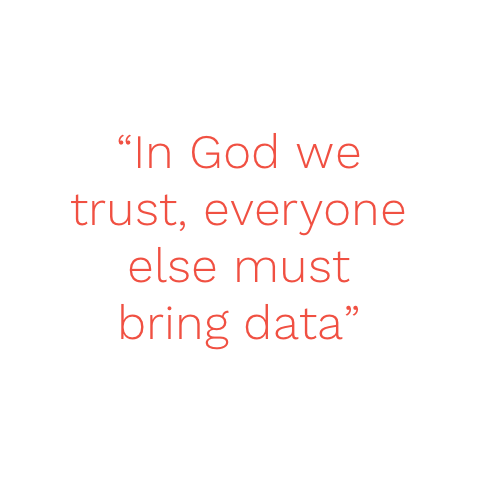 That same month, the Abuja team hosted its first street conference. “We took to the streets of Mpape with placards. We called it the Mpape street conference,” Aniebiet Obot, Susty Vibes Abuja team lead, tells me. The team sensitised residents on the effects of improper waste disposal and linked them up with recyclers. “We had a ton of volunteers who were trained to speak to bus riders, market women and residents about pollution,” Aniebiet expands. The street conference is still one of Susty Vibes’ biggest. The group prefers to keep its advocacy efforts as close to the streets as possible. They visit markets and schools, educating residents on the importance of recycling and the need to stop Nigeria's culture of littering. 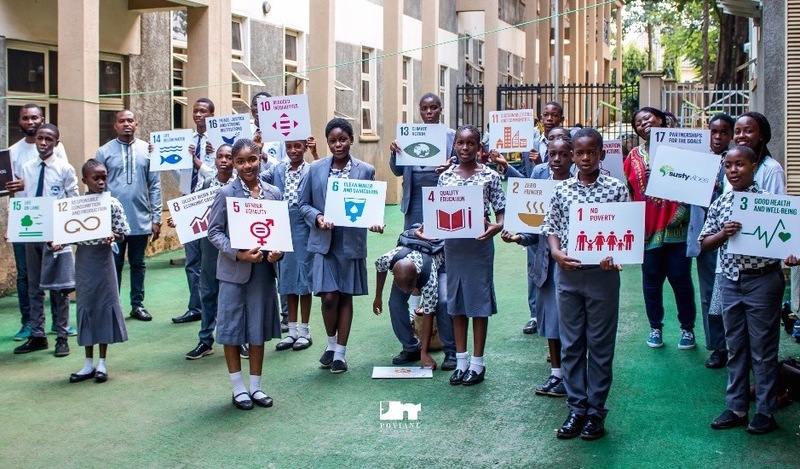 Earlier in the year, the group visited the Bauchi Federal Polytechnic as part of its campus hangout series on the United Nation’s Sustainable Development Goals (SDGs) which Nigeria signed up to. The novelty and popularity of SustyVibes has gradually grown as people are drawn to the unexpected mix of green advocacy and pop culture. In August, Susty Vibes went international with a Susty Party in New York. 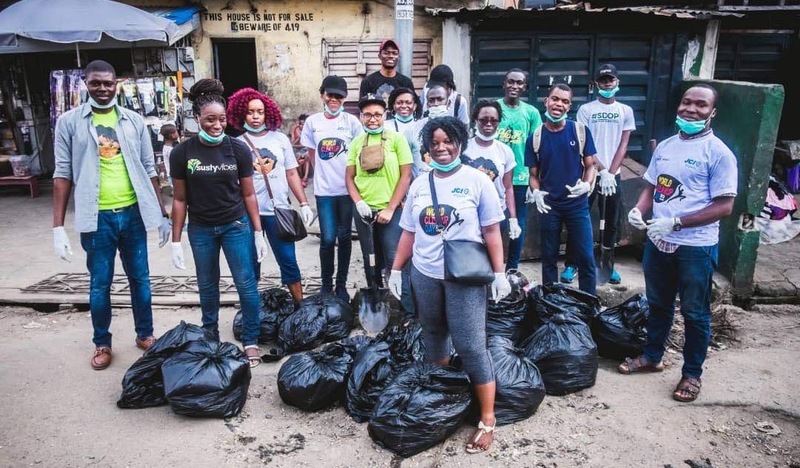 And in September, the group was featured on the BBC as part of World Clean-up day as they cleaned the streets of Ajegunle. 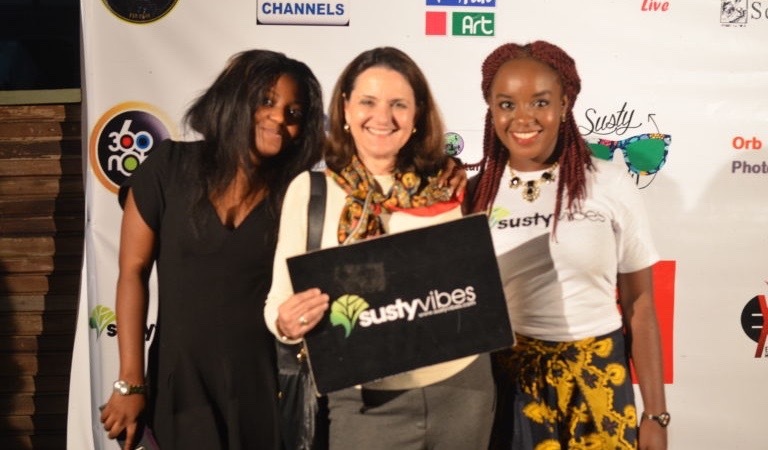 Ultimately, SustyVibes has thrived because of its approach as much as its message. “We get a lot of positive reactions because a lot of people can relate. They tell us they understand our message and try to do better,” Aniebiet adds. Unsurprisingly, SustyVibes takes a stand on the loudest social issue in today’s society: gender equality. “I am an ecofeminist. I am passionate about women and the environment,” Jennifer Uchendu announces. 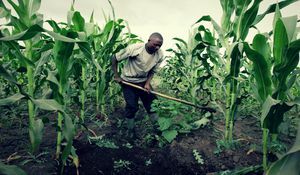 Ecofeminism looks at how climate change affects women, and one of SustyVibes’ pillars is to draw attention to environmental degradation in Nigeria and empower women to adapt to it. 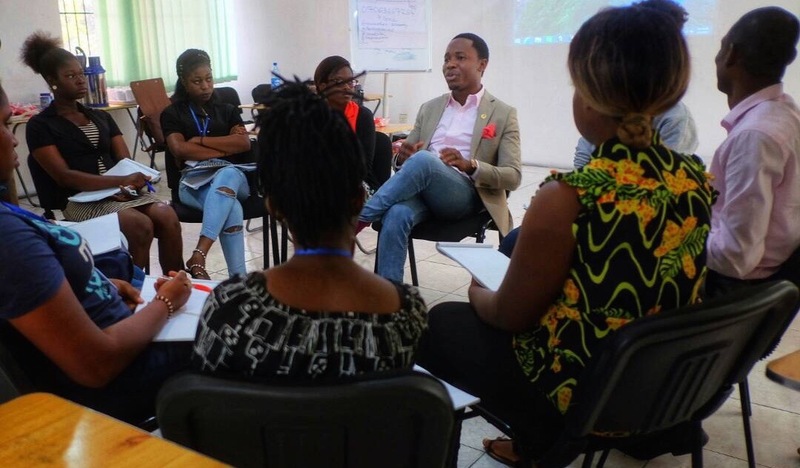 In this regard, the Port Harcourt team trains young girls every year to become documentary photographers. “I took it to the Niger Delta to get young girls to kick off their careers in photography. That way, they can document their environment, like the soot in Port Harcourt,” Jennifer says. The project hopes to empower the girls by helping them make a living from photography while creating awareness of the environmental hazards in the Niger Delta. Victoria is one of eight trainees going to exhibit their pictures in Lagos in December. The exhibition is another SustyVibes innovation of engaging young people on sustainability in an entertaining and relatable way. However, Jennifer admits that they would benefit from more traditional government support. “There are so many policies, but they aren’t as effective as we’d like them to be,” she says dismissively about Nigeria’s sustainability policies. The Ministry of Environment’s National Policy Plan gives extensive details of measures it is supposed to take to promote and safeguard the constitutional right of citizens to a clean and healthy environment but does not live up to the stated measures. For example, it’s meant to provide water in adequate quantity and quality to meet domestic, industrial and recreational needs of Nigerians. But we see that more often than not, citizens outsource their own water supply. Still, Jennifer is optimistic. “In the future, I want to see a Nigeria where sustainability is part of our daily life”. And slowly through Susty Vibes, she’s doing her bit in making the dream a reality.